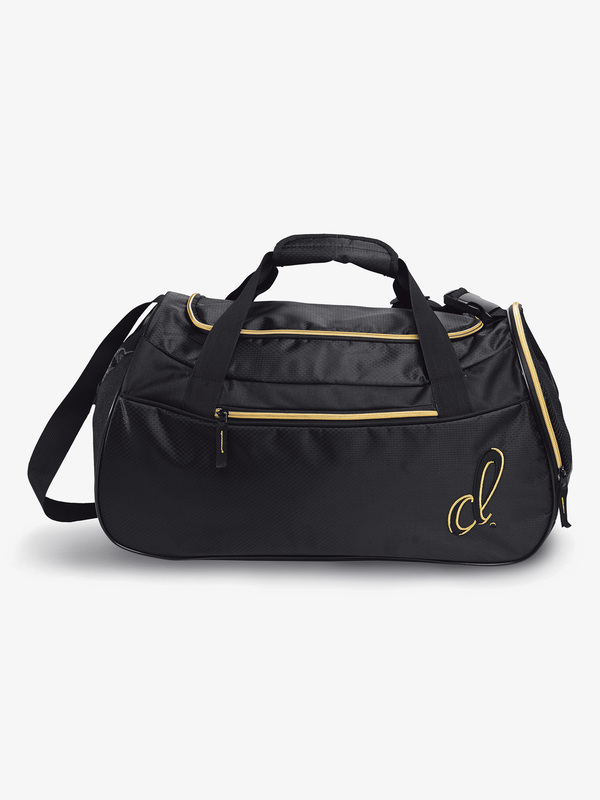 Show your love for dance in this subtly chic duffle bag. Bag features 5 pockets to keep your things organized, 3 outside pockets with shoe pocket and 2 inside mesh pockets, a unique textured material with gold zipper accents, an adjustable shoulder strap, and water repellent inner lining. Size: 16.5" x 9" x 10".